The Raman–Charpak Fellowship program is in honour of two Nobel Laureates in Physics, Prof C.V. Raman, Indian Nobel Laureate, 1930 and Prof Georges Charpak, French Nobel Laureate, 1992. The Fellowship was launched during the State visit of the President of France, H.E. Mr. Francois Hollande, to India during February 14-15th, 2013. The aim is to facilitate the exchange of doctoral students between the two countries, in order to broaden the scope and depth of future engagements in science, technology and innovation. The Raman-Charpak Fellowship is the only Indo-French bilateral Fellowship programme jointly funded by the Department of Science and Technology (DST), Government of India and the Service for Science and Technology (SST), French Embassy in India, Ministry for Europe & Foreign Affairs, Government of France. 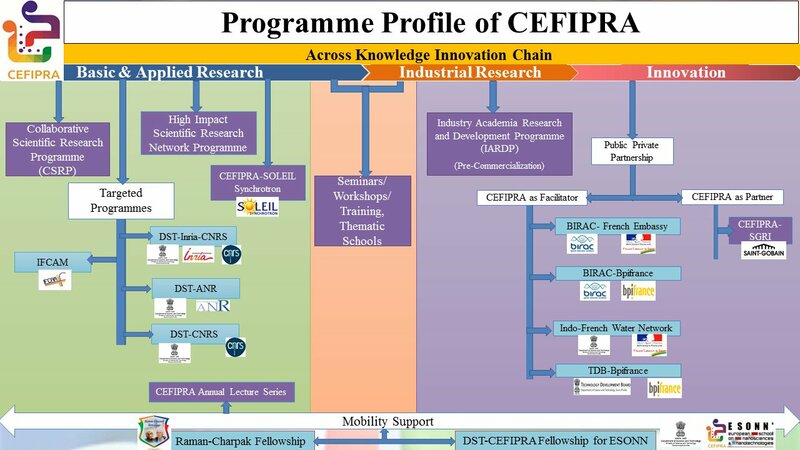 This programme implemented by the Indo French Centre for Promotion of Advanced Research (IFCPAR/ CEFIPRA) aims at improving the doctoral skills of Indian and French students by providing them an opportunity to carry out part of their research work in a University / Research Institute based in France or India respectively. The scheme also provides an exposure and experience about the current research methods and trends in France/India, while discovering each another’s cultural context. Since year 2013, 57 Raman-Charpak Fellows have been supported under this programme. Application procedure: Application are submitted only through online submission system.